Onyx is a banded variety of the oxide mineral chalcedony. Agate and onyx are both varieties of layered chalcedony that differ only in the form of the bands: agate has curved bands and onyx has parallel bands. The colours of its bands range from white to almost every colour (save some shades, such as purple or blue). 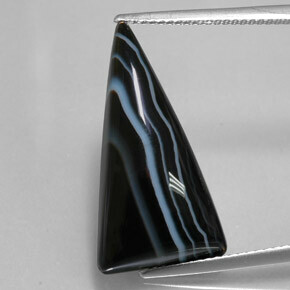 Commonly, specimens of onyx contain bands of black and/or white. Onyx is a gemstone whose description can have several connotations. Its most accepted gemstone definition describes a solid black Chalcedony, or a banded or layered black and white Chalcedony. 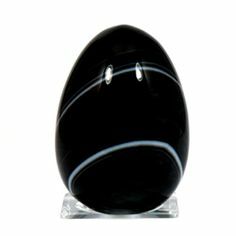 The term Onyx is occasionally used to described any engraved stone with a solid colour base, or it may describe any banded gemstone with parallel banding. 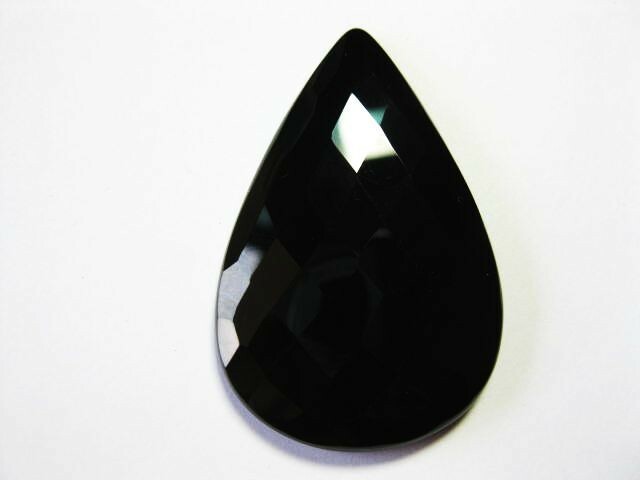 In its solid black form, Onyx is the most traditional black gemstone. Onyx is black and white banded agate (cryptocrystalline or chalcedony quartz). It should not to be confused with onyx marble, which is limestone. 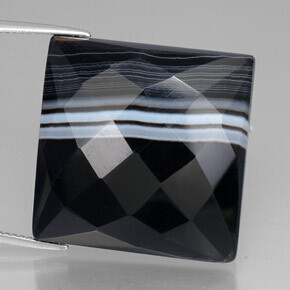 The banding of onyx is parallel and consistent. Some varieties of onyx differ in colour, such as sard onyx, which has a brown base and white upper layer, cornelian onyx, which has a red base and white upper layer, and niccolo onyx, which has a very thin upper layer, allowing the black base colour to show through as grey or blue. Onyx takes its name from the Greek word "onux", which means fingernail; this could be due to a Greek legend, in which Eros mischievously cut the fingernails of Aphrodite with an arrowhead whilst she slept, and the gods turned the clippings into stone. Onyx was cut and carved as a gemstone by the Ancient Greeks and Romans in cameos. Intaglio etchings (negative relief engravings) were also made from onyx. These carvings showcase the banding of onyx. 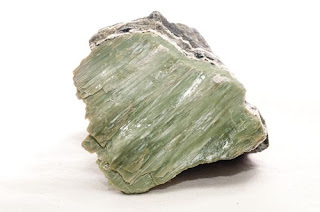 The name has sometimes been used, incorrectly, to label other banded lapidary materials, such as banded calcite found in Mexico, Pakistan, and other places, and often carved, polished and sold. This material is much softer than true onyx, and much more readily available. 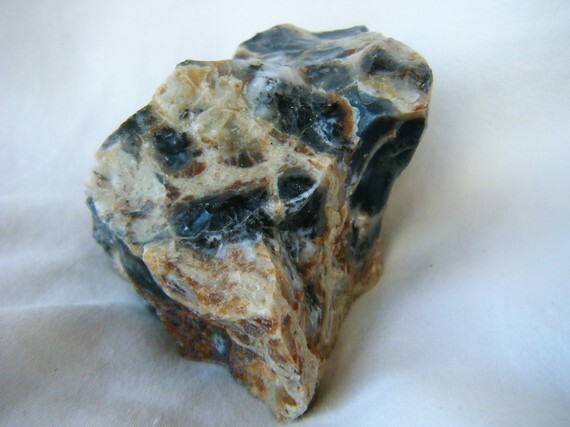 The majority of carved items sold as "onyx" today are this carbonate material. Artificial onyx types have also been produced from common chalcedony and plain agates. The first-century naturalist Pliny the Elder described these techniques being used in Roman times. Treatments for producing black and other colours include soaking or boiling chalcedony in sugar solutions, then treating with sulphuric or hydrochloric acid to carbonize sugars which had been absorbed into the top layers of the stone. These techniques are still used, as well as other dyeing treatments, and most so-called "black onyx" sold is artificially treated. In addition to dye treatments, heating and treatment with nitric acid have been used to lighten or eliminate undesirable colours. Onyx deposits are found in countries all over the world, including Argentina, Australia, Brazil, India, Botswana, Madagascar, Mexico, Myanmar (Burma), Pakistan, Sri Lanka, Uruguay and the USA. 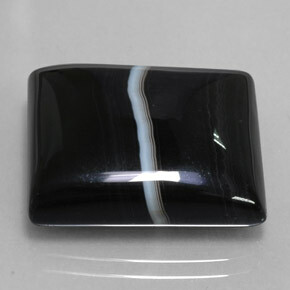 Onyx can be identified by its black base and white upper layer with parallel banding. However, in the case of sard onyx the base is brown and cornelian onyx has a red base. It is difficult to identify when the material is a single colour and can only be clearly distinguished from agate when seen in the rough, exhibiting visibly parallel and consistent banding. It has a long history of use for hardstone carving and jewellery, where it is usually cut as a cabochon or into beads. It has also been used for intaglio and hardstone cameo engraved gems, where the bands make the image contrast with the ground. 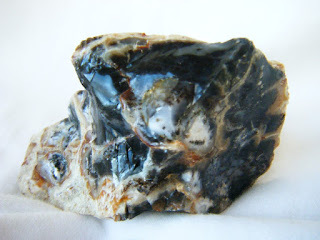 Some onyx is natural but much of the material in commerce is produced by the staining of agate. Brazilian green onyx was often used as plinths for art decorative sculptures created in the 1920s and 1930s. The German sculptor Ferdinand Preiss used Brazilian green onyx for the base on the majority of his chryselephantine sculptures. Green onyx was also used for trays and pin dishes produced mainly in Austria often with small bronze animals or figures attached. Onyx is mentioned in the Bible many times. Sardonyx (onyx in which white layers alternate with sard) is mentioned in the Bible as well. Onyx was known to the Ancient Greeks and Romans. The first-century naturalist Pliny the Elder described both type of onyx and various artificial treatment techniques in his Naturalis Historia. Slabs of onyx (from the Atlas Mountains) were famously used by Mies van der Rohe in Villa Tugendhat at Brno (completed 1930) to create a shimmering semi-translucent interior wall. The Hôtel de la Païva in Paris is noted for its yellow onyx décor, and the new Mariinsky Theatre Second Stage in Moscow uses yellow onyx in the lobby. Accretion is a process by which material is added to a tectonic plate or a landmass. 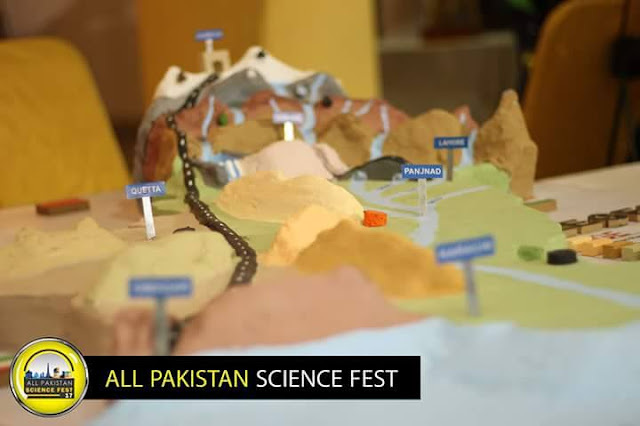 This material may be sediment, volcanic arcs, seamounts or other igneous features, or blocks or pieces of continental crust split from other continental plates. 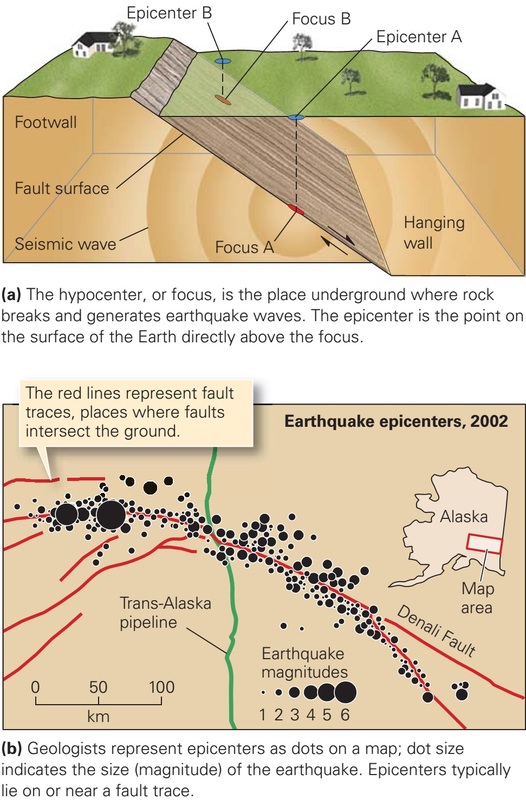 Over "geologic time" (measured in millions of years), volcanic arcs form and may be crushed onto (or between) colliding continents with plate boundaries. Pieces of continental land masses may be ripped away and carried to other locations. For instance, Baja California and parts of southern California west of the San Andreas Fault are being ripped away from the North American continent and are slowly being carried northward. These rocks may eventually pass what-is-now San Francisco, and perhaps 70 to 100 million years from now will be crushed and accreted into the landmass currently known as Alaska! 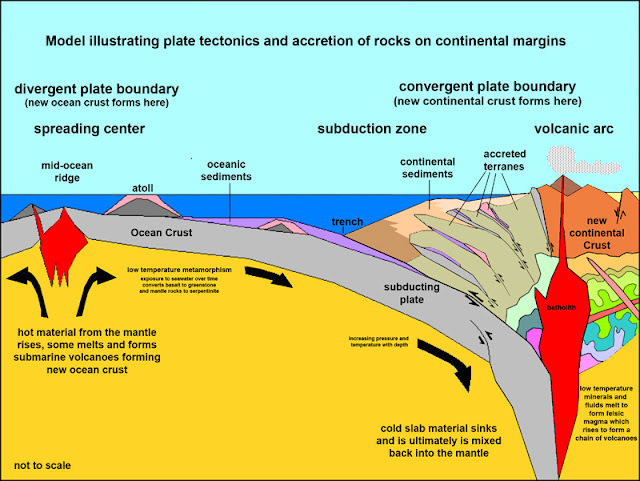 Plate tectonics model: Subduction introduces oceanic crustal rocks (including sediments) back into the Asthenosphere. 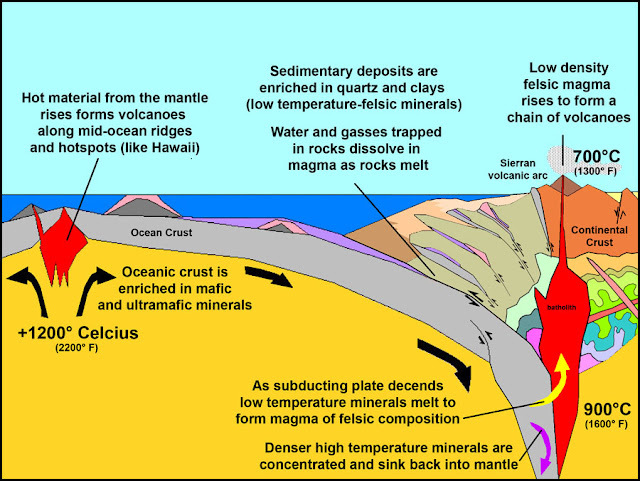 Water and gas helps low-temperature minerals to melt and rise as, forming new continental crust (less dense than oceanic crust). 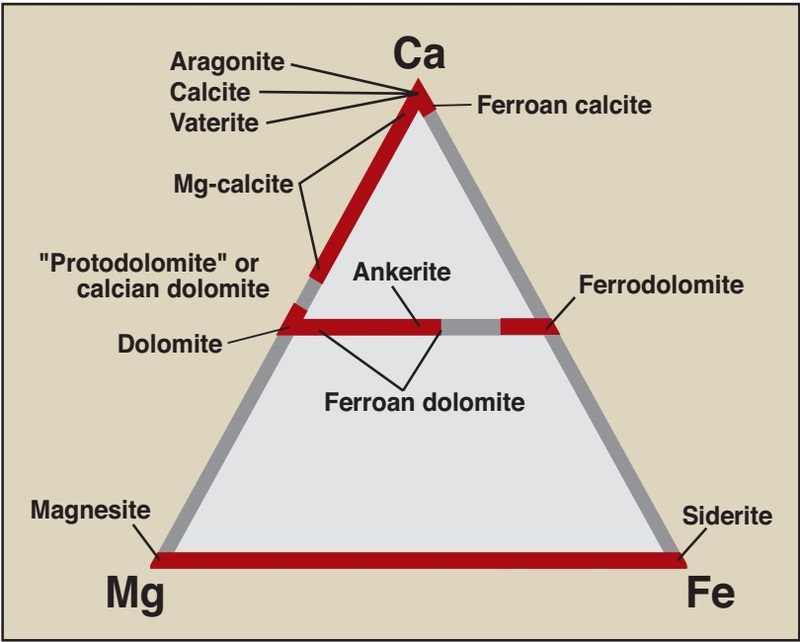 Floating on the Asthenosphere, the continental crustal materials accumulate, forming continents. 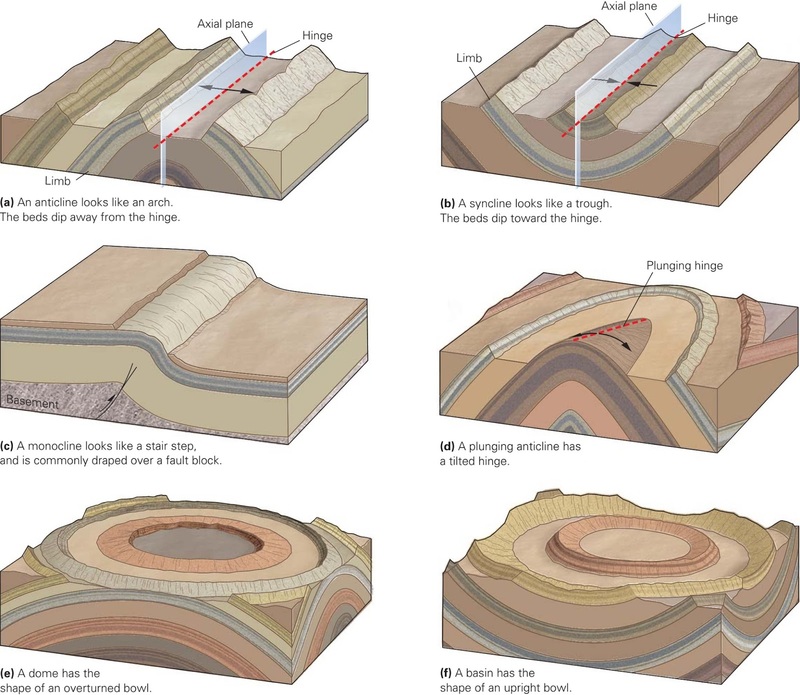 The processes associated with subduction lead to the accretion (growth) of continents over time. As ocean crust is recycled back into the upper mantle, the lighter material "accumulates" along continental margins. Pieces of lithosphere are sometimes scraped off one plate and crushed onto and added to another plate. Diamonds are a rare occurrence on the surface of the planet because it takes extremely hot and high pressure conditions to create them. Physical and chemical conditions where diamonds form only exist in the mantle, nearly 70 miles down or more. In that environment in the upper mantle, diamonds may be a common mineral! It takes incredible events, nothing that has ever been witnessed in historic times, to bring diamonds to the surface. Diamond deposits around the world (that have any economic significance) are associated with volcanic features called diatremes. A diatreme is a long, vertical pipe formed when gas-filled magma forces its way through the crust to explosively erupt at the surface. Kimberlite a special kind of intrusive igneous rock associated with some diatremes that sometimes contain diamonds, typical coarse grained an bluish in color. 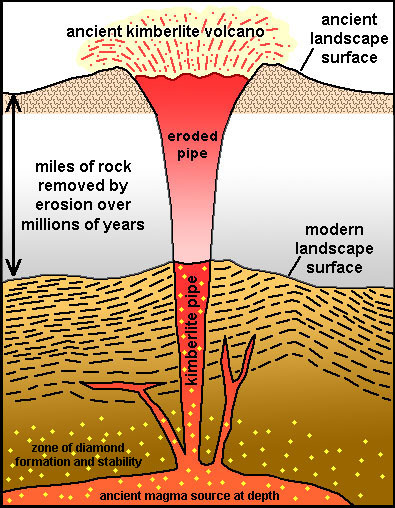 Diamond-bearing kimberlite pipes are diatremes that originate in the mantle. Diamonds are xenoliths carried up from deep sources in the mantle, and often occur in association with other gem minerals including garnet, spinel and diopside. Most "economically significant" diamond deposits occur in ancient rocks (Precambrian age), but have been discovered on all continents. 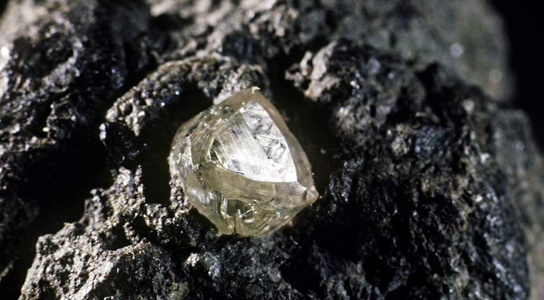 Because diamonds are so hard, they survive torturously-long histories, recycled through sedimentary and metamorphic environments without being destroyed. As a result they have been found almost everywhere as very rare, isolated discoveries. Diamonds of microscopic size have been discovered in meteorites and asteroid impact sites, and some metamorphic rocks. They are most extensively mined from kimberlite pipes or from alluvial gravels derived downstream from diamond source areas. It should be noted that most diamonds are not of gem quality, but those that are not are used for industrial purposes. Text and figures are used with permission. 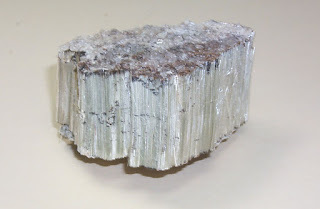 Asbestos is a set of six naturally occurring silicate minerals, which all have in common their eponymous asbestiform habit: long (roughly 1:20 aspect ratio), thin fibrous crystals, with each visible fibre composed of millions of microscopic "fibrils" that can be released by abrasion and other processes. They are commonly known by their colours, as blue asbestos, brown asbestos, white asbestos, and green asbestos. Prolonged inhalation of asbestos fibres can cause serious and fatal illnesses including lung cancer, mesothelioma, and asbestosis (a type of pneumoconiosis). 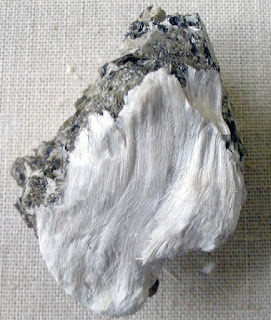 Concern of asbestos-related illness in modern times began in the 20th century and escalated during the 1920s and 1930s. By the 1980s and 1990s, asbestos trade and use were heavily restricted, phased out, or banned outright in an increasing number of countries. Did you know that doctors diagnose an estimated 3,000 cases of mesothelioma annually in the U.S.? The majority of those are traced to job-related exposures to asbestos. Most people have the pleural mesothelioma type, which forms on the lining of the lungs, but the cancer can also form around the lining of the abdomen or heart. Although asbestos use in this country has dropped in recent decades, a steady number of people are still getting mesothelioma. That's because this cancer can take anywhere from 20 to 50 years after asbestos exposure before symptoms appear, and an oncologist can make a definitive diagnosis. While there's no cure for mesothelioma and the outlook is generally poor, researchers have made significant progress in understanding the cancer and developing new treatment options and alternative therapies. When mesothelioma diagnosis, the mesothelioma prognosis is usually poor, as there is no cure for the disease, and typically it is discovered at a late stage of development. Generally, the earlier mesothelioma diagnosis occur, the better prognosis a patient has. 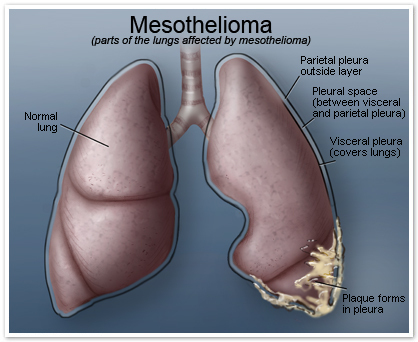 How Does Asbestos Cause Mesothelioma Cancer? Mesothelioma typically develops after people are exposed to asbestos in the workplace, in industrial settings, shipyards, auto repair shops, old houses, schools and public buildings. While it usually takes long-term exposure to put someone at risk, short-term and one-time exposures are also known to cause this cancer. 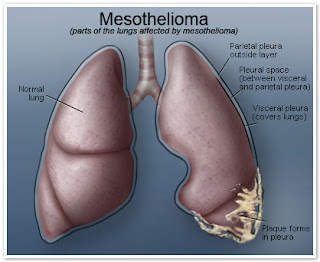 Mesothelioma and asbestos has particular connection because asbestos exposure can cause malignant mesothelioma prognosis. Asbestos can cause health complications when work duties or other activities disturb asbestos-containing materials and release fibres into the air. When we inhale or swallow these microscopic fibres, our bodies struggle to get rid of them. Over decades, the trapped fibres trigger biological changes that can cause inflammation, scarring and genetic damage that sometimes leads to cancer. The lengthy gap between asbestos exposure and diagnosis is called the latency period. Asbestos fibres most often become trapped in the lining of the lungs, called the pleura. They also can collect in the lining of the abdominal cavity (peritoneum) or heart (pericardium). Once fibres cause biological damage, the stage is set for the decades-long latency period for the development of malignant mesothelioma. Mesothelioma treatment typically involves a combination of surgery, chemotherapy, and radiation therapy. In cases where standard treatment of mesothelioma do not work for mesothelioma cure, mesothelioma patients may also be able to try experimental treatments through clinical trials. While no cure currently exists, mesothelioma patients can usually improve mesothelioma prognosis through some form of treatment. Even in cases where improving lifespan is not viable, palliative care and alternative therapies often help reduce pain and suffering from symptoms for many individuals with mesothelioma. Choosing a good mesothelioma lawyer and mesothelioma lawsuit in good mesothelioma law firm is imperative to ensuring that you will be awarded the highest amount of compensation for your case. Attorneys who specialise in asbestos litigation have experience with and knowledge about the complex issues, medical considerations, and history surrounding asbestos legislation, case law, and the applicable procedural rules and formalities of each and every case they handle. Finding a reputable mesothelioma law firm with mesothelioma attorneys who are understanding and compassionate, and at the same time willing to fight hard on your behalf, is essential to making sure you receive the highest level of compensation for your injury. Mesothelioma center based in Orlando where free information, resources and personal assistance is provided for the person affected by exposure to asbestos. Mesothelioma treatment center is dedicated to providing those who suffer from the asbestos-related cancer malignant mesothelioma also known as asbestos cancer or from asbestos-related lung cancer, or who know someone who does, with the most up to date information and support. Puʻu ʻŌʻō (often written Puu Oo) is a volcanic cone in the eastern rift zone of the Kīlauea volcano of the Hawaiian Islands. Puʻu ʻŌʻō has been erupting continuously since January 3, 1983, making it the longest-lived rift-zone eruption of the last two centuries. By January 2005, 2.7 cubic kilometers (0.65 cu mi) of magma covered an area of more than 117 square kilometers (45 sq mi) and added 230 acres (0.93 km2) of land to the Southeast coast of Hawaiʻi. So far, the eruption has claimed 189 buildings and 14 kilometres (8.7 mi) of highways, as well as a church, a store, the Wahaʻula Visitor Centre, and many ancient Hawaiian sites, including the Wahaʻula heiau. 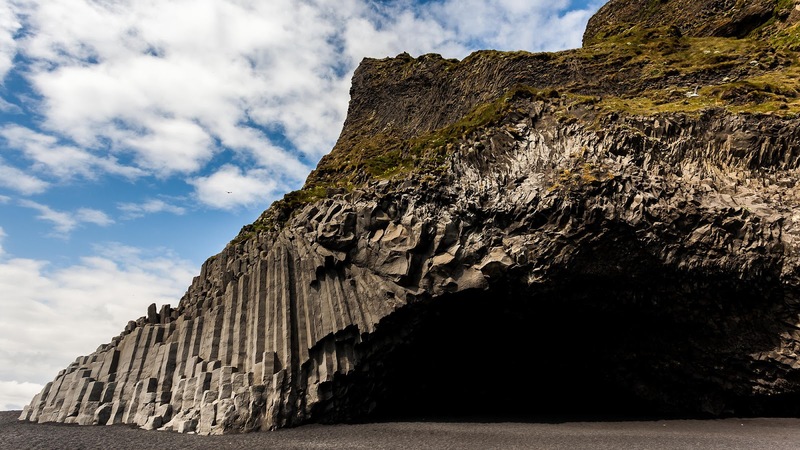 The coastal highway has been closed since 1987, as it has been buried under lava up to 35 meters (115 ft) thick. 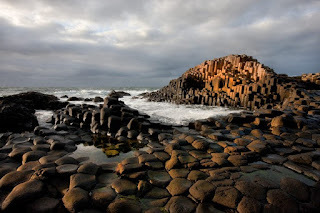 The Giant's Causeway northern Ireland, renowned for its polygonal columns of layered basalt, is the only UNESCO World Heritage Site in Northern Ireland and in 2015 was awarded the UKs Best Heritage Attraction at the British Travel Awards. Sea birds can be seen off the coast around the Causeway, with species such as fulmar, petrel and razor-bill being frequently observed alongside rare and unusual plant species on the cliffs and nearby rock formations. 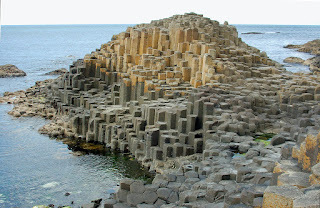 The Giant’s Causeway is also steeped in myth and legend. 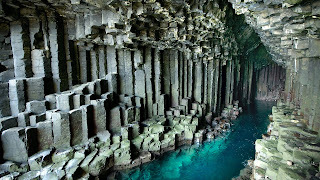 Some say it was carved from the coast by the mighty giant, Finn McCool who left behind an ancient home full of folklore. Look out for clues of his existence including The Giant’s Boot and Wishing Chair. The unusual formation was born of natural processes during the Paleogene (65-23 million years ago), when Northern Ireland was subject to powerful volcanic activity. During this period, molten basalt came into contact with chalk beds, forming a lava plateau. 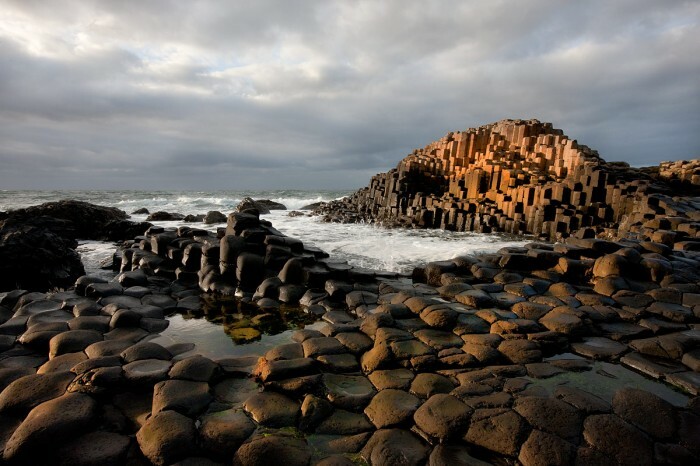 When the lava cooled quickly, the plateau contracted and cracked, forming 40,000 hexagonal columns of varying heights that look like giant stepping stones. The largest stand almost 36 feet tall. 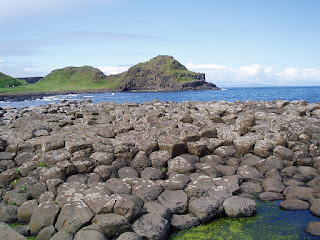 According to legend, an Irish giant by the name of Fionn mac Cumhaill constructed the causeway himself so that he could skip over to Scotland to defeat his Scottish rival, Benandonner. Apparently, while in transit to Scotland, Fionn fell asleep, and Benandonner decided to cross the causeway to look for his competitor. To protect her slumbering slumbering husband, Fionn’s wife gathered him up and wrapped him up in cloth in order to camouflage him as their child. When Benandonner made it to Northern Ireland tour he saw the large infant and could only imagine how big Fionn must be. Frightened, Benandonner fled back to Scotland. But the causeway remained. 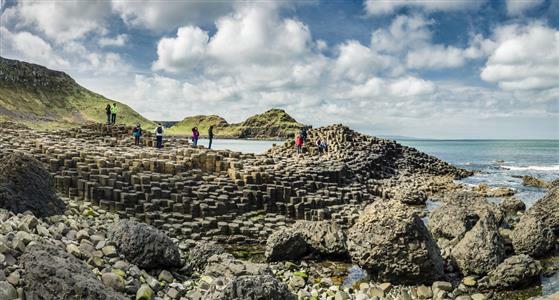 In tour of Ireland Giant's Causeway, there are four stunning trails at the Giant’s Causeway suited to every ability, from a pram friendly jaunt to a challenging coastal hike and in addition, a new accessible cliff top walk for families and people with disabilities. The area is suitable for picnics, cliff and country walks, and dogs are welcome on leads (guide dogs only within the Visitor Centre). In guided tours of Ireland, for visitors who do not wish to avail of the facilities on-site, alternative parking is available during peak times at the Railway car park adjacent to the Causeway (£6 per day), from which visitors can walk to the stones for free. Contact Visitor Information for more details. Alternative catering is provided at the site by the Causeway Hotel, The Nook and McConaghy's shop. 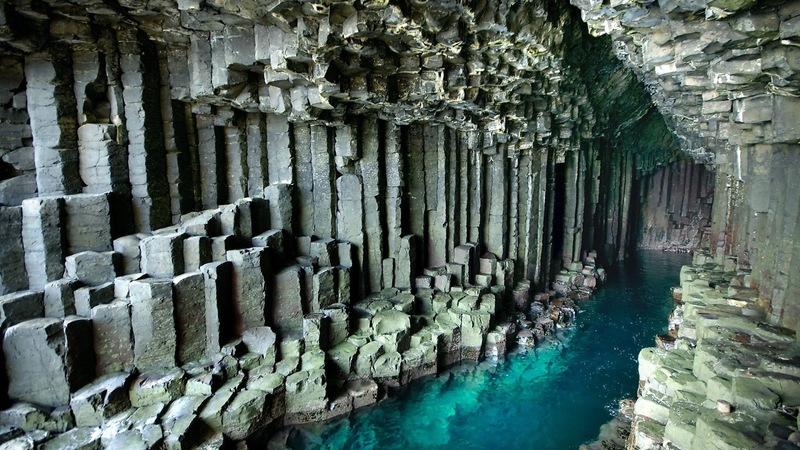 Fingal's Cave is a sea cave on the uninhabited island of Staffa, in the Inner Hebrides of Scotland, known for its natural acoustics. The National Trust for Scotland owns the cave as part of a National Nature Reserve. It became known as Fingal's Cave after the eponymous hero of an epic poem by 18th-century Scots poet-historian James Macpherson. Fingal was immortalised by Mendelssohn in his Hebrides Overture, after he visited the island in 1829. 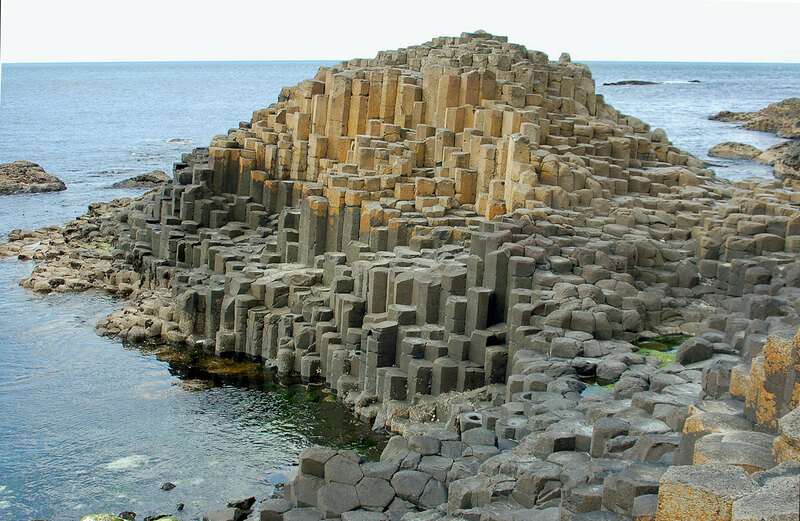 The island’s distinctive six-sided columns of rock are formed from basalt, the same as the Giant's Causeway in Northern Ireland. During spring and early summer, the cliffs and grassy slopes provide nesting sites for various seabirds including guillemots, razor-bills and puffins. The cave was a well-known wonder of the ancient Irish and Scottish Celtic people and was an important site in the legends. 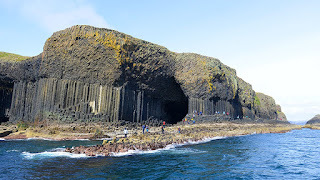 Known to the Celts as Uamh-Binn or “The Cave of Melody,” one Irish legend in particular explained the existence of the cave as well as that of the similar Giant’s Causeway in Ireland. 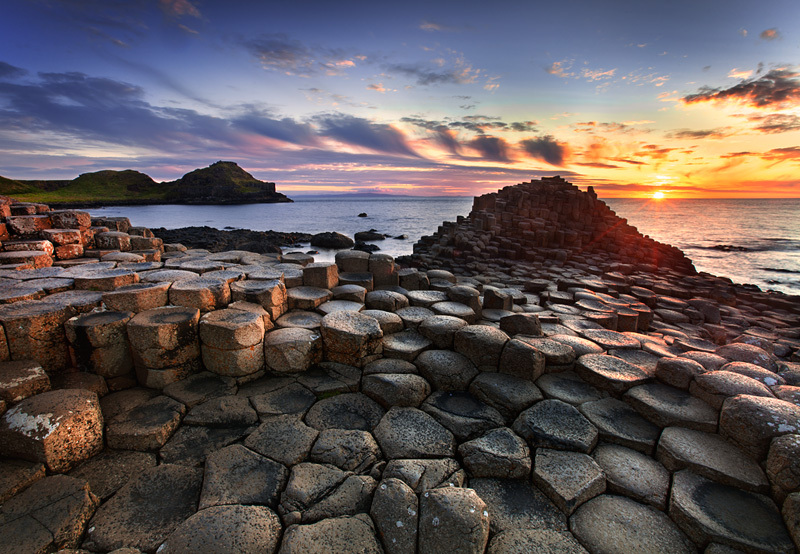 As both are made of the same neat basalt columns, the legend holds that they were the end pieces of a bridge built by the Irish giant Fionn mac Cumhaill (a.k.a. Finn McCool), so he could make it to Scotland where he was to fight Benandonner, his gigantic rival. The cave was rediscovered when naturalist Sir Joseph Banks visited it in 1772. At the time of Banks’ discovery, Fingal, an Ancient Epic Poem in Six Books was a very popular poetic series, supposedly translated from an ancient Gaelic epic by Irish poet James Macpherson. 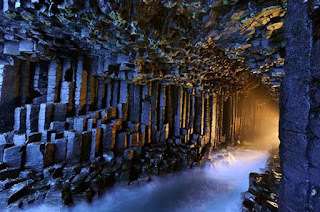 The book was an influence on Goethe, Napoleon, and Banks, who promptly named the Scottish cave, which already had the name Uamh-Binn, after the Irish legend, calling it “Fingal’s Cave”. 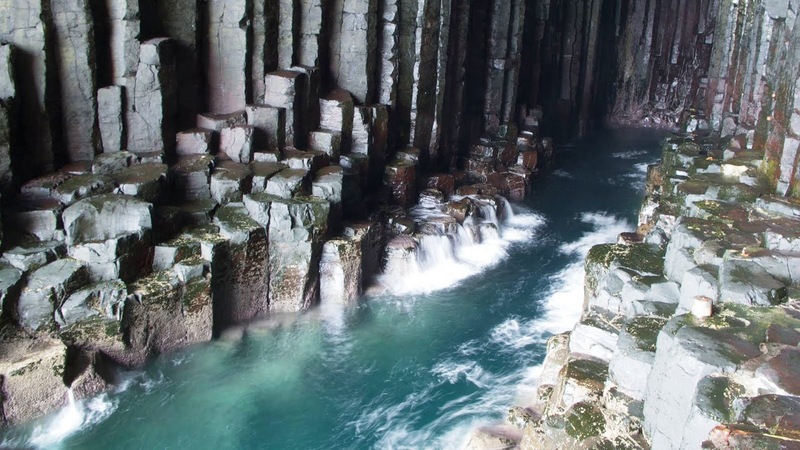 In a one-two Romantic punch, artist J. M. W. Turner painted “Staffa, Fingal’s Cave” in the same year and together these launched the cave from a little-known wonder into a must-see Romantic-Victorian tourist site. 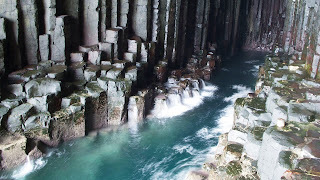 William Wordsworth, John Keats, Lord Tennyson, and Queen Victoria all visited the cave as did consummate traveller and lover of wonders, Jules Verne. One can visit the cave via cruise (though boats cannot enter the cave, they make regular passes by it so boat trips to Staffa cannot be made) or can travel to the small island of Staffa and hike into the cave by stepping from column to column.